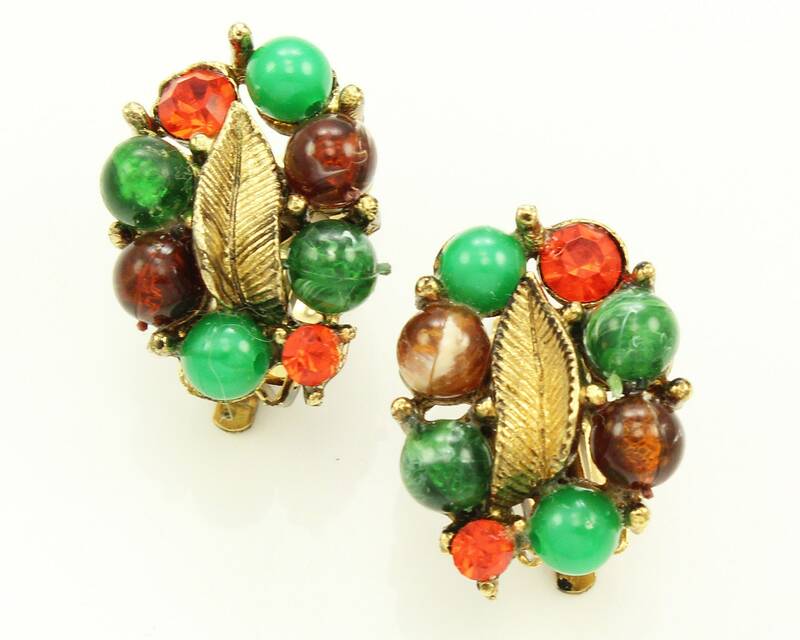 Vintage Selini Beaded Torsade and Clip on Earrings in Green, Orange, and Brown. 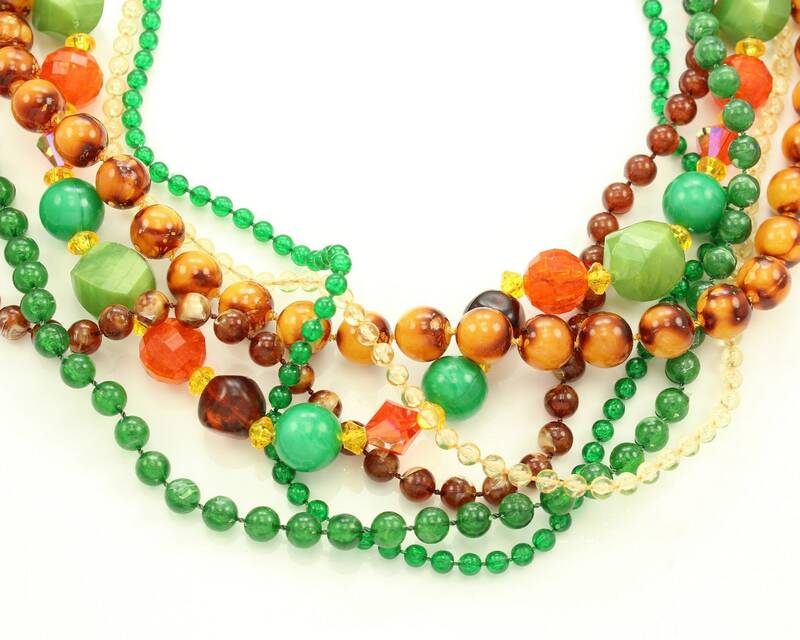 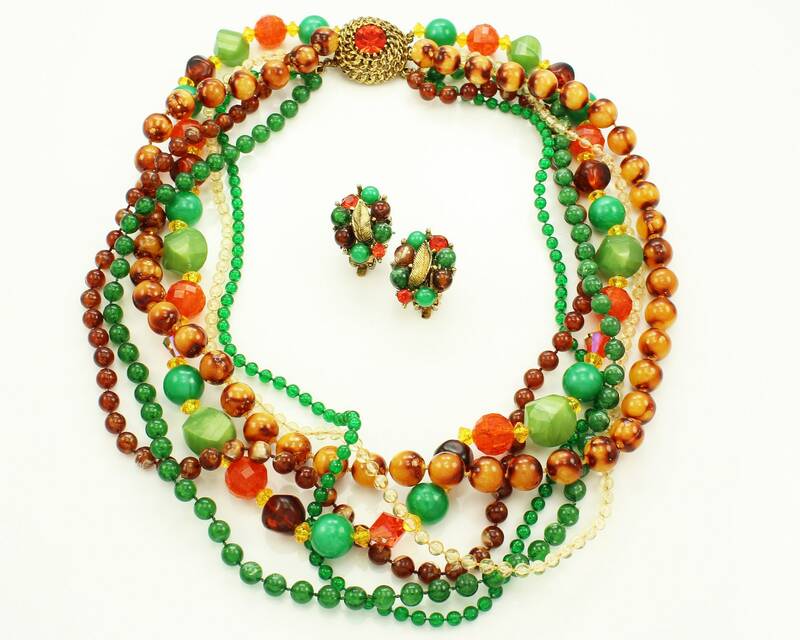 This six strand necklace features beads of plastic and glass in tones of green, brown, and orange. 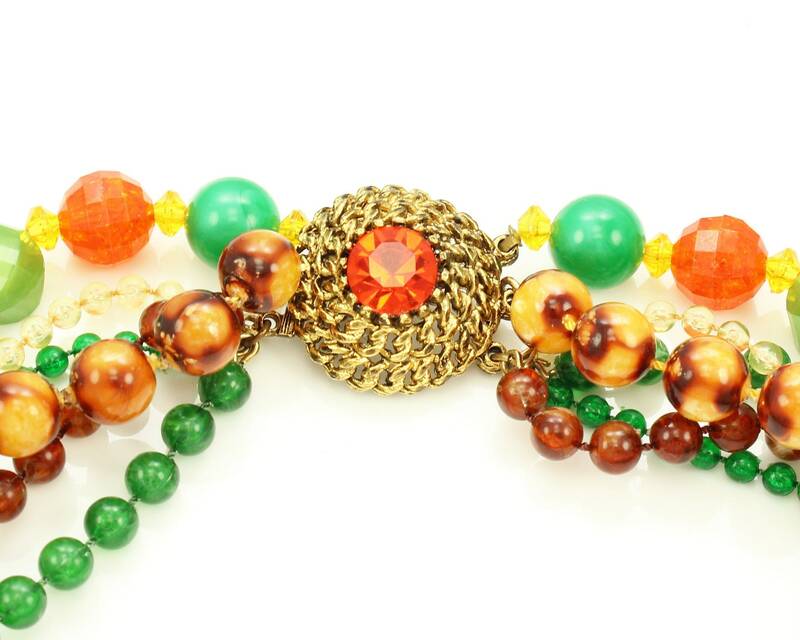 The necklace is finished with a gold tone rope hook clasp with bright orange rhinestone. 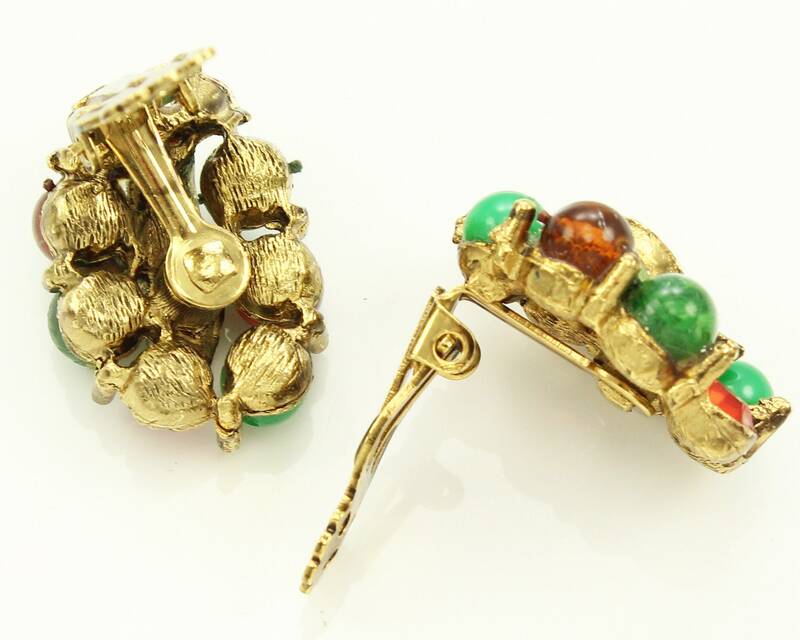 The clip on earrings feature the same elements.